It’s inevitable. 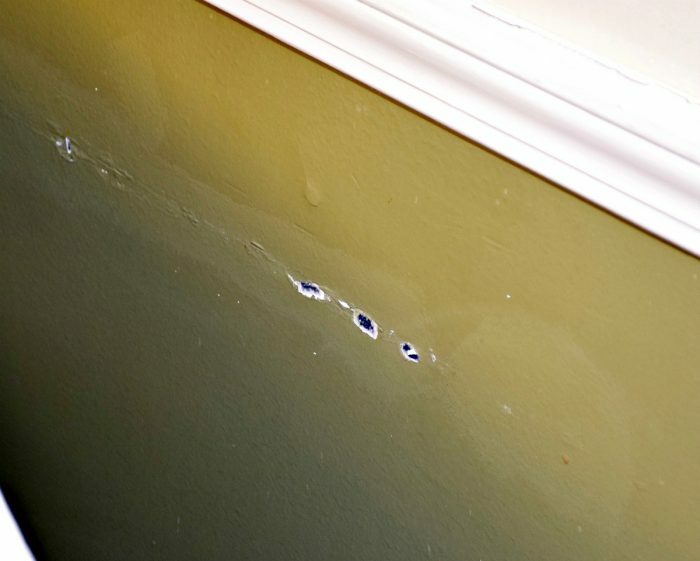 If you actually live in your house, your walls are going to get scratched, chipped, dinged and paint scuffed off. 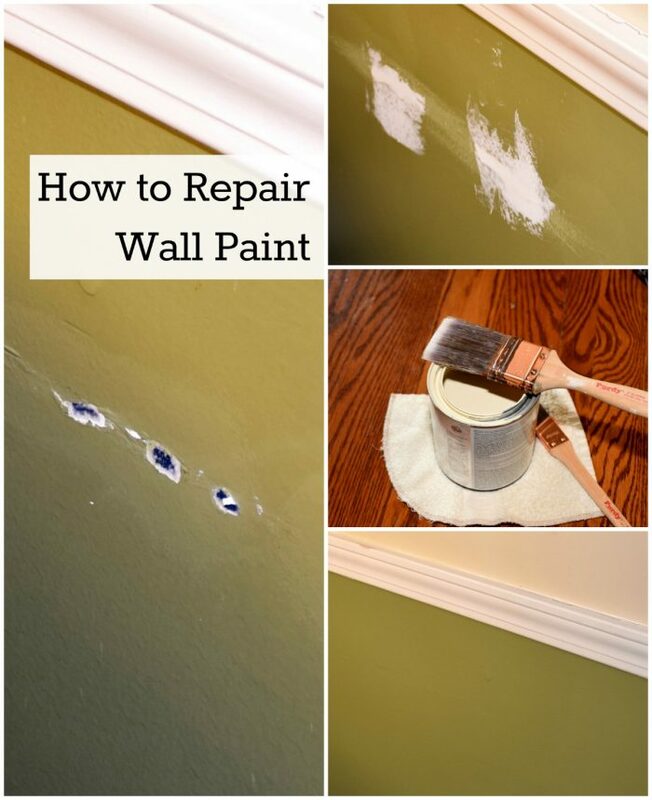 It’s been 7 years since we moved into this house with all it’s freshly painted walls so today I’m sharing how to touch up wall paint years after it was originally painted. Why just touch up? Well, I’m not that big a fan of painting so if I can patch and repair a few places before doing a light touch up job, that’s my preference! The first thing you want to do is prep your walls. I used a Norwex envirocloth to wipe down the areas that needed touched up or repaired. If you don’t have Norwex, use soapy water and a rag to wash the wall, then rinse with a clean wet cloth. Basically you want completely clean surfaces free of greasy fingerprints, dirt, and other stuff so the paint sticks right. I cut a small area of paint from the wall so I could match it. Next, it’s time to patch any holes or dents. 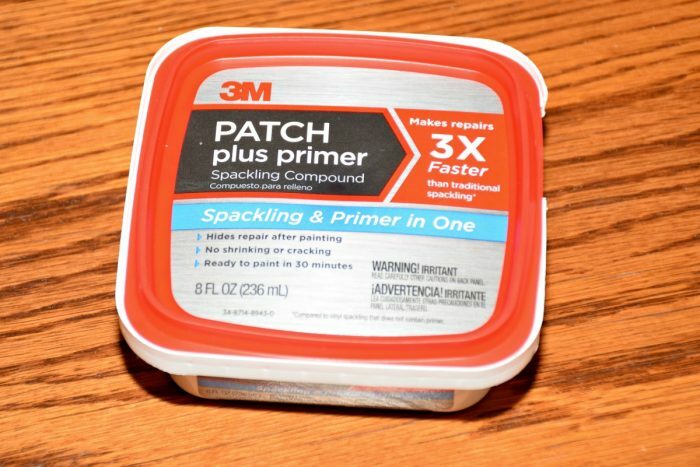 If you have huge holes in your wall, you will probably need a patch. My walls simply have nail holes to be filled and areas where the paint was chipped and picked off (thanks kids!) I also had a couple areas where I cut/chipped out a paint chip around 3/4″ in diameter for matching paint (more on that in a bit). You will need a plaster for repairing the holes, chips and dents. I made sure to buy a plaster that didn’t say “not for skim coating” because filling places where the paint pealed off is very similar to skim coating. Use a wide putty knife and press plaster into the holes and rough areas. Use smooth, sure strokes to brush across, leaving the surface smooth. Let dry according to package directions. 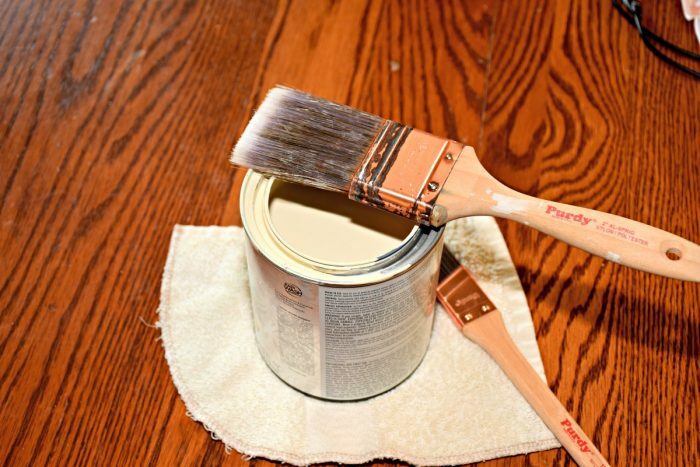 Once the putty is dry, use a fine 500 grit piece of sandpaper to smooth any rough areas. Use a dry cloth to wipe the plaster dust from the wall and surrounding area. 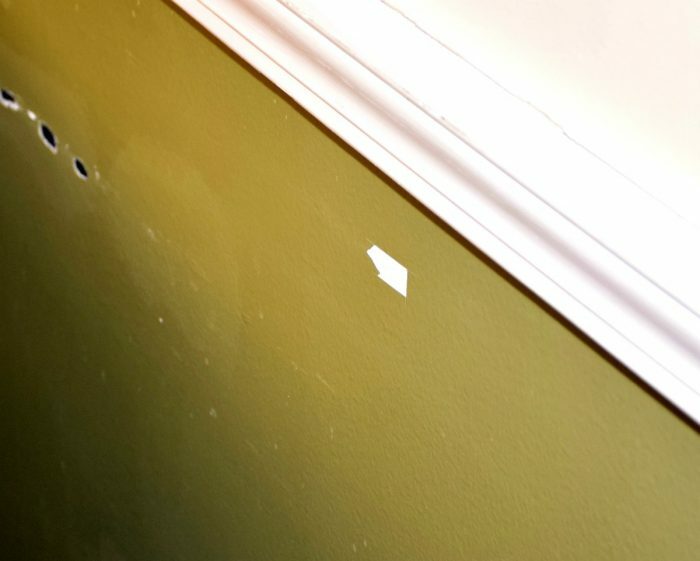 Remember where I cut/chipped a 3/4″ piece of paint off the wall? Here’s the reason. Paint fades and even if you still have leftover paint in the garage from your original painting, it will no longer match. Many hardware stores will match your paint so you just need to know the sheen of your current paint. 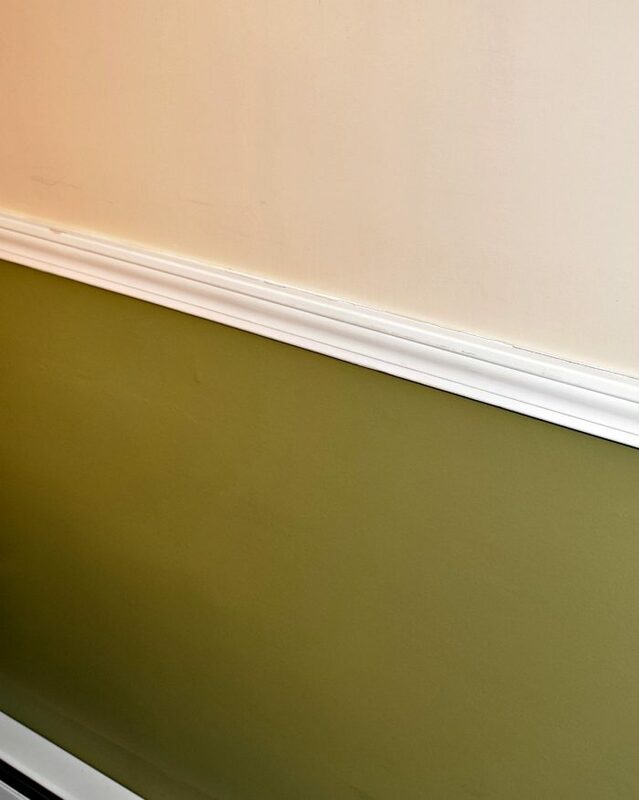 Popular wall paint choices are eggshell and satin. If you don’t know the sheen of your paint, ask the person who is matching your paint chip. It’s possible they can help you figure it out. There are hundreds of paint tools available. Brushes, rollers, fancy “trimming tools” etc. But honestly, unless you are painting a large area, a good brush is all you need. It’s likely you will need to paint patched areas at least twice as the plaster putty is dry and will absorb a lot of paint. Even when the color is perfectly matched, new paint will look a little different than the old paint. After a few weeks though it should be pretty well the same. Enjoy having smooth non chipped walls again! I’m trying to pretend my walls will stay smooth and perfect. That my kids won’t throw toys or bang chairs or anything like that. But… we moms know that’s just a pipe dream! All the same. I’m going to enjoy it while it lasts! 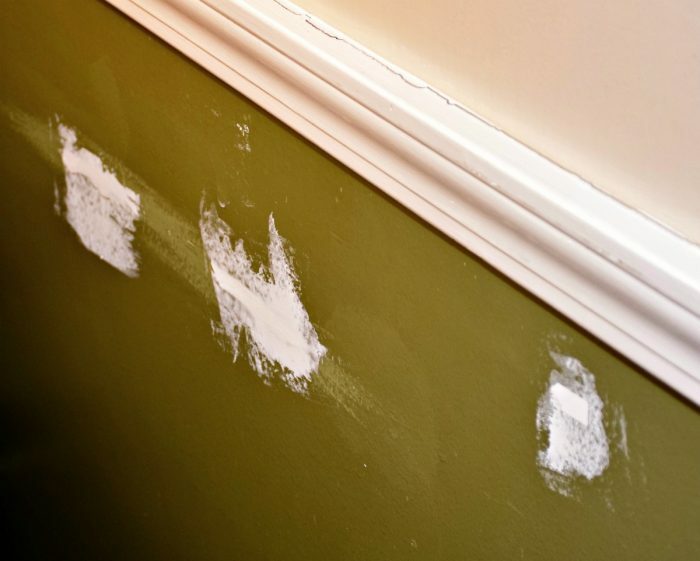 Now that you know how to touch up wall paint, will you get rid of those chips and dings? Just curious to know if I’m the only one that gets sick of looking of messes like that. Great tips! It is always nice to freshen the walls up after a while, ours get pretty scuffed up too with 4 boys! 🙂 Thanks for sharing at Merry Monday this week.